A heat pump moves heat from one place to the next to generate either heating or cooling. Because heat pumps simply transfer heat, they are more efficient than other heating or cooling methods that burn fuel to do the same job. With such a connected system, installing a heat pump is not a DIY project. You need the assistance of an expert HVAC technician in West Michigan to ensure that you get a fast and effective pump installation with guarantees. So, to get the most reliable and effective heat pump installation service in Grand Rapids, you should contact Service Professor. Schedule an appointment today online or call us at 616-871-1900616-871-1900. After installation of your heat pump, you have to continue servicing it to ensure that it works as it should and last as long as the manufacturers guarantee. Your heat pump is in use all year round. It heats, and it cools. So, you need to ensure that you get the best possible service from expert maintenance professionals who know what they are doing. Without ongoing maintenance work to keep your heat pump in good condition, you can miss minor problems that could eventually turn into costly repair issues. Costly in terms of downtime and an uncomfortable home situation as well as the expensive repairs that would need to be done. Service Professor offers ongoing maintenance packages for our residential and commercial clients throughout West Michigan. Plus, if you join our Service Professor Protection Plan, you will enjoy added benefits such as discounts on parts, priority scheduling, and much more. You save while keeping your heat pump working at peak efficiency for as long as possible. A heat pump has several components. And at any point in time, a part can go bad and need to be repaired or replaced. From the compressor, to the fan, outdoor coil, and the refrigerant, there are several areas where things can go wrong. When your heat pump is not getting the right temperature, or it won’t turn on at all, call the heating technicians at Service Professor. Our team of HVAC experts will troubleshoot until we find the issues and then quickly repair the problem for you. We are available 24/7. So, no matter what time you encounter a problem with your central heating and cooling system, we will be there to quickly get it under control. Our heating technicians in West Michigan have installed some of the top heat pump brands in the industry. And our customer reviews have shown how well our clients enjoy working with the knowledgeable and professional team at Service Professor. 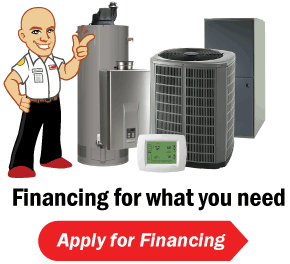 So, whenever you are ready for heating or cooling services with a reliable company for heat pump installations, heat pump repairs, and heat pump tune-up, call Service Professor.